I've finally got on the program and I'm now using Twitter. It would be closer to the truth to say that I'm fooling around with Twitter trying figure out how it works and how it can help me build an audience and ultimately share useful information and maybe sell a book or two. One thing I discovered a while back is that for those who have Twitter accounts, you can look at your home page and see what's trending. I wasn't sure what "What's Trending" meant for a long time but i simply means what people are talking about. For example people, will post a tweet and somewhere in the note put #writer, #self publishing, # Happy Valentines Day, etc. The # followed by a phrase is called a hashtag. When people search on #writer, everything that someone posts with that hashtag comes up on your screen. So when I looked today, #CandyHeartRejects is trending. The idea is what people would say in rejecting candy hearts. Some of the things I read was funny some were off color, and some were lost out in the tall weeds. But if you wanted to comment to millions of people in real time, you could compose your tweet and put #CandyHeartRejects and a lot of people on Twitter who follow what's trending, would see it. 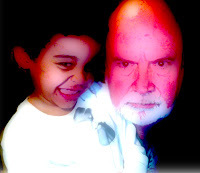 While I was sitting there, my great nephew Jordan crawled up in my lap, launched the photo booth program and snapped this photo of us before I knew what he was doing. I have facebook but don't use it..I've never done Twitter. Sounds very challenging! You have a good reason to be more involved in the cyber world..getting your books out there where people can find what's really "trending"..good writing! I laughed at Jordan's pic..reminded me immediately of something...."Jordan with the Great and Powerful Wizard of Oz! "....Have a Happy Valentines Day! Be sure and take the time to figure out all the advantages a writer can find with using Twitter. Stretch outside the box to build your follower list, via your own 'web' of potential followers. 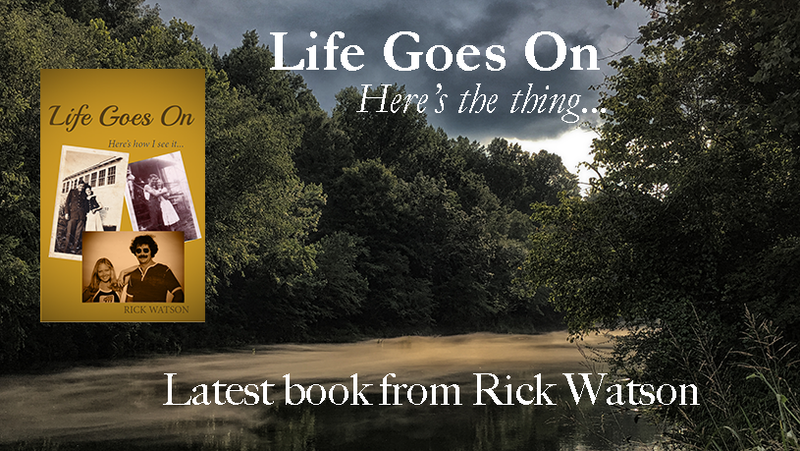 Book signing schedules, speaking engagements, etc... perfect source. Your followers will be caring enough to 'RT' (Retweet) your tweets for you, which helps you get the word out all over the place! You can also schedule a chat amongst your followers, ahead of time. Set up the topic as a hash-tag (ex: #folkmusic_chat). Simply send out a tweet about the upcoming chat. A great time period to send out would be between 4-5pm. People tend to get on twitter at the end of their work day, before cooking supper, etc., for some reason. Begin your chat by welcoming everyone and adding the hashtag. Slowly but surely, you'll see responses. If you set up a consistent schedule for a chat, the group, and your follower list, tends to build quickly. Your followers will begin to 'RT' your tweets about the chat date and time to others that may be interested in joining in on the conversation. Most chats tend to be set for an hour at a time. But, I've seen some run over if the conversation is going strong when schedules and priorities are relaxed. Twitter can become a great way to revive movement of sales on past products, as well! You can find me on Twitter as WeldrBrat or Teresa Schoellkopf. Holler if you ever have questions! congratulations on joining twitter, I have yet to make that jump, I would imagine it could be a useful tool for writers. Isn't it amazing how tech savvy the little ones are! I joined Twitter last March and I love it. It took a couple of months to get used to but now I prefer it over FB. There's a link on my page if you want to link up on Twitter. To twitter or not to twitter...I have made a conscious choice to not go down that road. Love that photo. Cheeky little boy! I tweet but not very often. I don't have many followers and usually can't think of anything to say because the word count is so limited. I'm not the pithy saying type. Well, you're several steps ahead of me - I have no idea how to tweet! And these dang kids - they're so quick with everything aren't they? Happy Valentine's Day to you and your sweetheart Jilda!